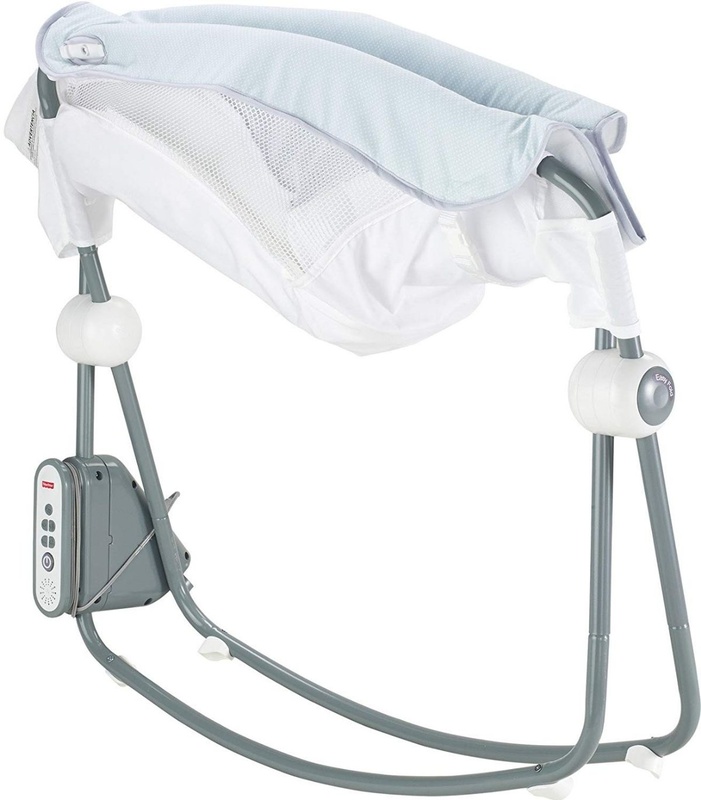 At nighttime and naptime, the inclined sleeper lulls baby to sleep with relaxing music and sounds – plus hands-free rocking all night long! And when baby’s ready to play, use the songs, sound effects and linkable clacker toy to keep baby entertained. 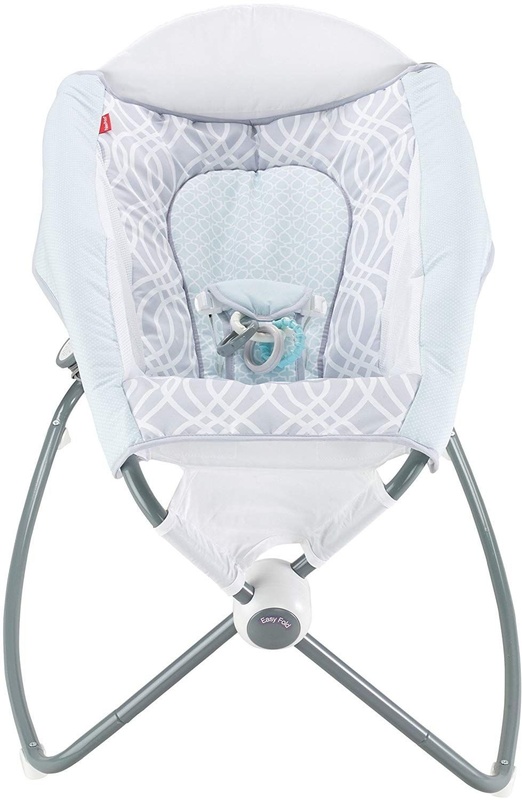 The extra-deep seat and breathable mesh sides make the Auto Rock ‘n Play Sleeper a dream for baby to stay in day and night. 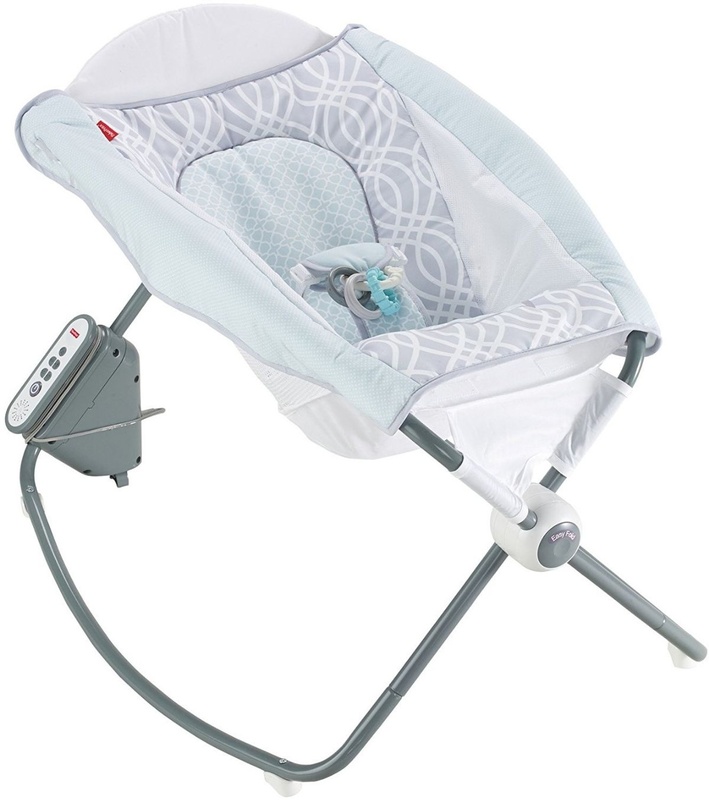 And it’s lightweight and portable to make it easy for mom and dad to bring along on vacation, to grandma’s and grandpa’s, the babysitter’s or anywhere! The pad is machine washable and dryer safe. AC plug provides battery-free operation.